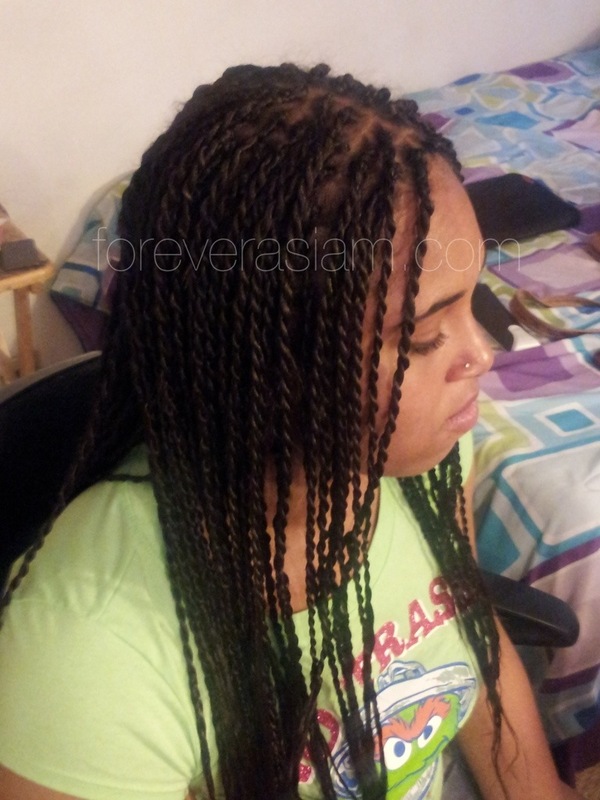 Senegalese Twists on 2C-3A Hair | .forever.as.i.am. Any who, she has been recently having some issues with her hair. I remember as a kid she had THE LONGEST HAIR EVER. like seriously her ponytails went down her back and I can remember thinking, why won’t my hair grow that long? But back then I had no idea of hair routines, types, textures or anything like that so I just thought that’s just how my hair was. She has a very different texture than my own. Pretty much opposite really lol, she has a mixture of silky 2c-3a hair with very fine strands and medium to fine density and moderate shine. Right now her hair is stuck at shoulder length and for the first time in my life, my hair is longer than hers o.o (I never thought that’d happen.) when I saw the state of her hair today compared to the long flowing locks I’m so used to seeing I just wanted to help get it back to how it used to be. So! Once again like I did with myself, I am taking away my moms hair reign. Sorry not sorry, but she has no idea what to do, I just see her repeating the same damaging patterns she did when I was younger, except with more visible effects because her hair is so soft and on the lower density side. She finally gave in, with the added point of seeing my hair progress. Come to find out she has been breaking all the cardinal rules of healthy hair, dry combing and brushing, not moisturizing at all, using sls filled products, ripping tangles, too tight braids and just not being patient with her hair in general. So I stepped in lol. TrueFacts: This is the first time I ever braided/did someone elses hair other than my own. I parted her hair into four sections.gave her a avocado and silk amino acid deep conditioning and her hair felt a million times better. Since her hair is in the 2c-3a range she has never used a relaxer so her curls instantly came through silkier and shinier. 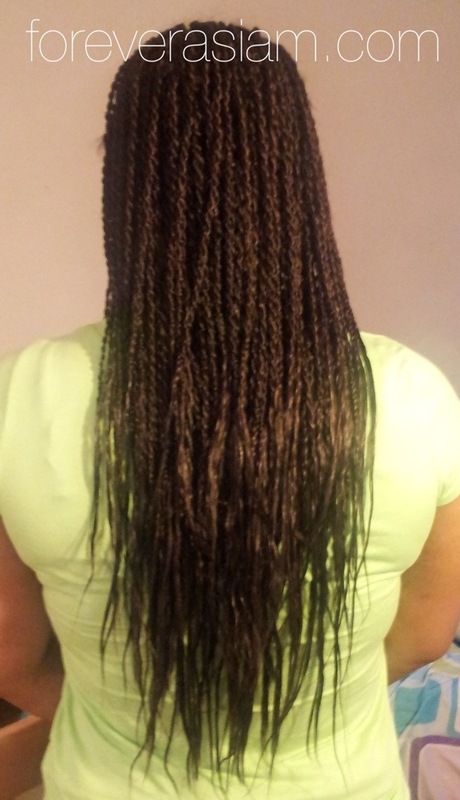 After, I had her air dry her hair and I put her in a protective style so she can give her hair a break. Here you can see her silky 2c-3a hair clearly. Hi, I found your blog by doing a search for this exact topic. I have 2c/3a hair and want either senegalse or havana twist. I never have had any extensions in before, because I thought my hair was too soft and it would just slip out. I see that you were successful in completing the the look. 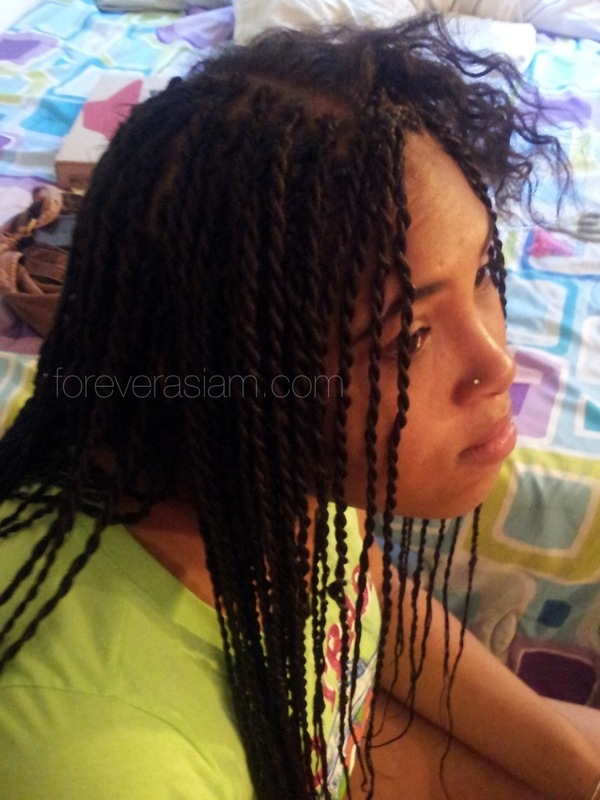 How long did the twists last? And do you have in tips that will help when adding the hair to make it stay and not slip? Yea they do slip out. the best thing I could say how I did my sisters was for Senegalese twists, I started out with three strand braids from the top, I didn’t braid them too tight I just had to keep the extension part of the braid close to the head so I wouldn’t pull too tight when braiding down. 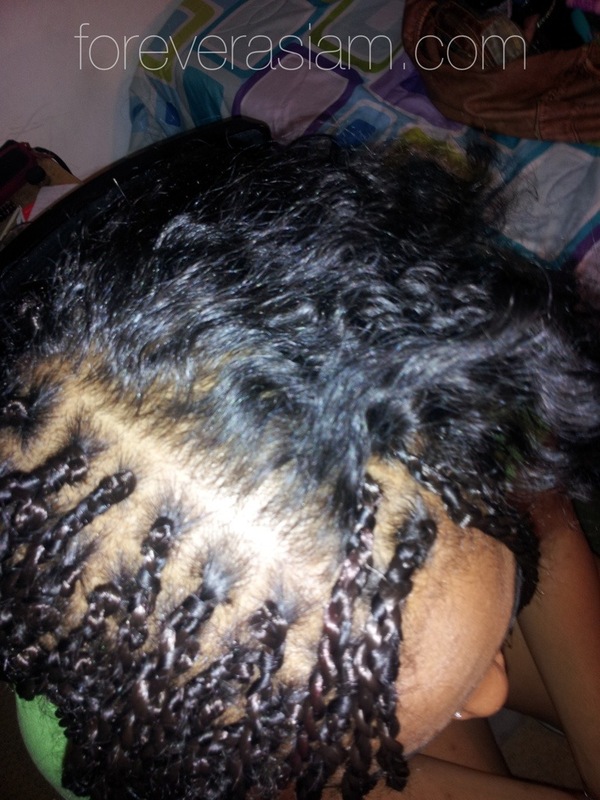 I braided it down like 6 – 10 parts before I started two stand twisting. I then clipped the three stranded braided section so not to cause the braid to twist and rip the hair. I hope this is helpful because its kind of hard to explain lol. Just the only part you need to get tight is the the first three stranded braid part. Also it helps to keep the really soft hair pulled kinda up and closer to the head while starting each braid it helps because when you’re doing a regular braid your natural motion is to pull down, on silky hair that’s bad news if you want your braids not to slip. Omg I have been looking for exactly this forever. I have the same kind of hair as your sister. How long did her twist stay in before they started to look like they needed to be taken out or redone and have you ever tried any other protective styles on her hair?BTW her hair looks great you did a fabulous job!